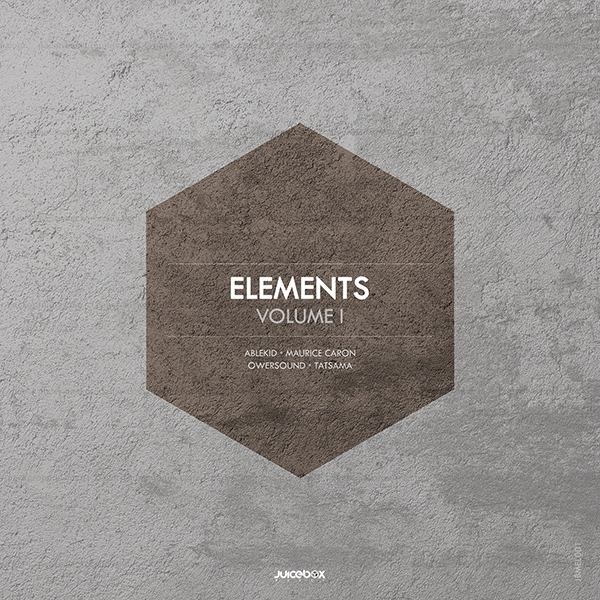 The latest release on Juicebox Music finds the label presenting the first instalment of its ‘Elements’ series. These various artists EP compilations look to showcase new talent and a vision for the future. Handpicked by Juicebox Music label boss Praveen Achary I would expect nothing less than excellence here and he’s found four beauties from Tatsama, Maurice Caron, Ablekid and Owersound. The release begins with ‘Open Spaces’ by Tatsama. Karthikeyan Sivasankar aka Tatsama hails from Hyderabad, India where he has been pushing his sound since 2010. A quick peruse over his discography shows a pendant for deep grooves with an airy sense of space, it’s quite effortless and definitely a joy to listen to. On ‘Open Spaces’ we get more of the same with perhaps a slightly trippier vibe. Thick slabs of bass carve out a powerful groove but it’s the intricacies of the track which really captive the imagination. From an indistinct vocal, to a subtle ethnic motif, there’s a wealth of beauty emanating from this one and it could make for a real late night dance floor gem as well. A great debut for Tatsama on Juicebox Music. Next up we see Maurice Caron making his label debut with ‘7 IX’. Maurice is based in Leeuwarden, Netherlands and has already had his work showcased on Proton’s Particles and Following Light’s Inmost Records. His productions have evolved a lot since his debut on Mistique Music in 2014 and his contribution here might be his all time best work. The groove has a wonderful roll to it making it ideal for the dance floor while a sparkling complement of melodies sits nicely over the top. What’s most excellent though is it’s hazy, ethereal vibe which a soothing vocal sample plays off so perfectly. It makes for a serene journey filled with emotion yet still groovy enough to have some impact on the floor. Wonderful work from Maurice. The EP’s third selection comes from Ablekid who is also making his debut on Juicebox Music here. Daniel Moore aka Ablekid has been knocking around the electronic music underground for over two decades. Beginning with the famed Orlando scene in the early nineties and eventually relocating to Austin, Texas. Quite well known as a DJ, Ablekid has also released music on Rapid Fire Records and Kindred Recordings. He’s been on a nearly four year hiatus however and here he comes back with a fresh approach on ‘Consciousness Conductor’. Anchored by a chuggy, infectious groove the piece flows through a storyboard of delicate melodic clusters and ethereal vocal elements. What’s most amazing to me is the sonic quality the electronics have, there’s a fuzzed out warmth coming from the stabs which is really lovely and they also come off a touch dubby, which gives the track a gorgeous late night vibe. A definite favourite on the release for me and hopefully the beginning of many more new tracks from Daniel. The release concludes with Owersound making his label debut with ‘Cobra’. For those not familiar with Owersound it’s a newish alias for Russia producer Arthur Minnametov. Since the inception of the project in November of 2015 Arthur has seen his Owersound project get picked up by Nikko.Z’s Dopamine Music and 238W’s Hydrogen division. Sticking nicely to the stylistic blueprint of the release ‘Cobra’ comes in with a laid back melodic sensibility which is quite charming. There’s a reflective tone to the whole production which I immediately love, also making it the ideal piece to close the release out with. It’s one of those smooth journey’s with an ever evolving sense yet endless looping appeal that really hits the spot and probably my favourite Owersound production to date as well. It makes for a very intriguing end to the first in what will hopefully be many ‘Elements’ releases from Juicebox Music. Highly Recommended.